Recently YTL Communications launched a new postpaid plans called Yes Unlimited Super Postpaid Plans, which is claimed to be the fastest 4G mobile Internet service with voice in Malaysia. According to YTL Communications chief executive officer, Wing K. Lee, since it was launched in November 2010, the Yes 4G mobile broadband service is now available in over 70% of populated areas in peninsular Malaysia. The number of base stations was doubled from 1,200 to 2,200. It was reported that YTL’s mobile broadband network segment is still loss-making in terms of earnings due to start-up and fixed operating costs. 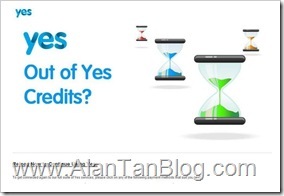 Initially, YTL Comms launched a prepaid service call YES Prepaid Internet Plan. It’s not exactly as a prepaid service as there monthly minimum RM30 commitment fee. Once you finished up the quote, you can’t surf and will be ask to reload. I must said the Internet is amazingly fast as can get above 8 Mbps easily in Klang Valley. Since the speed is fast, the quota usage also finished fast too. I’ve experience using Maxis, Digi and Celcom broadband service. Personally, it the the fastest Internet Service Provider that comes with the most expensive usage. Probably it’s because it use 4G technology and less people are using it due to cost issue. Introducing Yes 4G Unlimited Super Postpaid Internet plans! Say “Yes” to unlimited data and connection speed up to 20mbps! Best of all, get a Yes 4G device for free with a commitment of 12 or 24 months! With the Yes Unlimited Super Postpaid, once a user hits the maximum data usage for the package, the surfing speed is throttled down to 128Kbps (kilobits per second). During throttled period, user will not be charged for additional data usage beyond what had been signed up for. The Yes Unlimited Super Postpaid Plans come in four packages, covering data usage chunks of 1.5GB, 4GB, 6GB and 10GB monthly with a monthly commitment charges range from RM48 to RM168 a month. 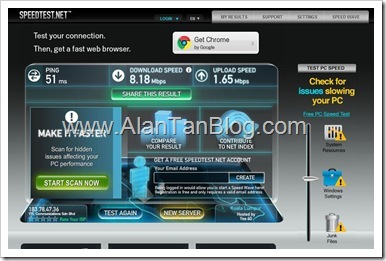 The Maximum surfing speeds can reached up to 20Mbps (megabits per second) based on best effort basis. New subscribers will receive a free Go 4G Dongle, a Huddle 4G Mobile Hotspot or a Zoom 4G Gateway. These free devices comes a commitment period of 12 or 24 months. Therefore, read the term and condition before signing up and be a wise consumer! All you need to know about Yes 4G Unlimited Super Postpaid Internet Plans! This entry was posted on Saturday, March 31st, 2012 at 12:31 pm	and is filed under Mobile Phone, prepaid war, Tips. You can follow any responses to this entry through the RSS 2.0 feed. Both comments and pings are currently closed.